When we moved west fifteen years ago, one of our most important discoveries was Connemara Candles at the end of the winding road of Billamore. We still go there to buy our candles and watch Walter and Heather work their day, pouring wax into moulds with calm and sincerity to produce candles that burn with that same stillness. 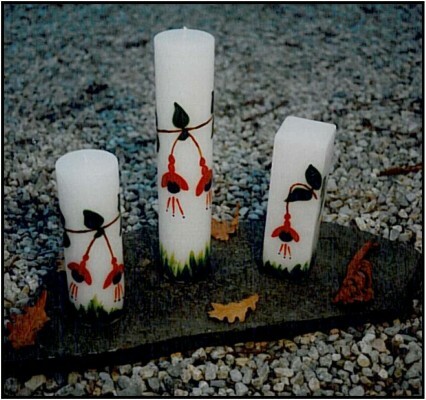 Candles have been with us since prehistoric times, from tallow tapers to the highly sculpted creations that we find in today’s specialists’ shops. Some of them have become so much a work of art that people are loathe to light them. But to be true to itself a candle has to be lit. Its life’s purpose is to warm a dark corner with its flame, to light the way for the traveller, to celebrate another year on a birthday cake or to call us to pray. It is the still point of hope. By not lighting it, the candle is denied the chance of achieving its true potential. An unlit candle is a life unlived. Our local candle’s flame is unswerving. It invokes meditation just to look at it. It brings peace to an unquiet heart. It burns steadily without a drip, drawing in the nourishment of the wax that allows it to live right to the very end; until it is no longer wick nor wax knowing that in all its short life it has not for one minute denied itself what it was created to be: a candle, nothing more, nothing less.